Who is the Registered Keeper of a Lease Car? One of the main differences between leasing and buying a new car is who the registered keeper is. The registered keeper also differs depending on what leasing contract you have. 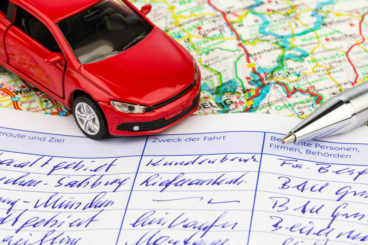 We get that this can be quite confusing which is why we’ve written an article explaining who the registered keeper of your lease car will be. First things first, what is the difference between a registered keeper and legal owner of a car? The registered keeper of the car is responsible for taxing the vehicle and will also receive the parking, speeding and any other driving related fines. This does not mean that they are the ones responsible for paying them however, but more on that later. The legal owner is the person who has paid for the vehicle and has proof of purchase. When you buy a car outright you are the owner and, in most cases, will automatically be the registered keeper. But you can always nominate someone else to be the registered keeper if you so wish. A Contract Hire is essentially renting a vehicle and handing it back at the end of your agreement. This means that as the finance house you’re leasing the car from has the financial interest in the car, they are the registered keeper as well as the owner. In the very unlikely event that you should ever get a parking fine or a speeding ticket, these will get sent to the finance house. This also counts for congestion charges. Different finance houses deal with this in different ways, some will advise the authority who you are and you will be sent the fine directly. Other finance houses will pay the fine and then write to you saying they will collect the money in your next direct debit, plus an admin charge. With an operating lease you are the registered keeper. However, operating leases aren’t very popular anymore and we tend to find that only Mercedes will offer this option. Because you are the registered keeper of the car, the road tax is only included in the first year of the lease, so you need to re-tax the car every year. 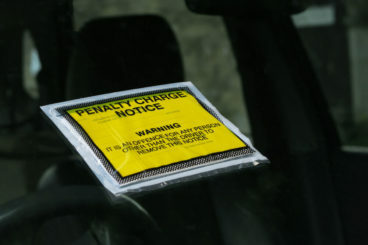 Every fine or driving charge will be sent directly to you, meaning that there will be no extra admin charges. If you have a company car it’s essentially the same as if you lease a car for personal use. 90% of the time the finance house will be the registered keeper on a Contract Hire. However, there are always exceptions so it’s best to check. If it’s an Operating Lease, the registered keeper is your company. If you’re the registered keeper of the car, you’ll be given the log book. If you are using a Contract Hire lease you won’t have the log book of course, because you aren’t the registered keeper. The log book will be with the finance house. The downside to this is that you do not have the document that most parking companies need to be able to give you parking permits. You can, if you wish, request a copy of the log book from the finance house, but they will most likely charge you a small admin fee. Alternatively, a lot of finance houses will, on request, send a letter to you (addressed to the parking company or Council) saying that the vehicle is on a lease and they will state who is driving it. 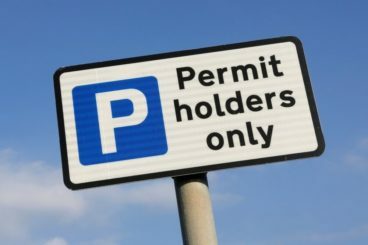 Many parking companies will accept copies of lease agreements or letters from leasing companies or brokers to get parking permits. So, while it’s not ideal, it can be easily sorted. What if I Have a Private Number Plate? You will have to call your finance house and explain that you want to transfer your private number plate to your lease car. Technically, as they are the registered keeper they will have to take ownership of the plate. 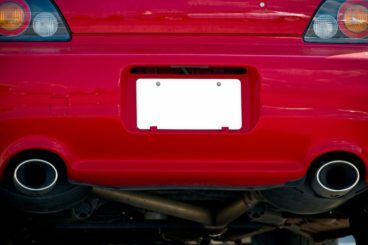 It would be advisable for you to get it in writing that they have no interest in keeping the private number plate and that they will transfer ownership back to you once the lease is up. They should do this automatically but you can never be too careful. You might have to wait a bit but it shouldn’t be any longer than a few weeks. We recommend you do this at the time of order to make sure that the private number plate is ready as soon as you get the car. Once your lease is up, the finance house will transfer the private number plate back to you. What is the Effect on Insurance? You need to tell the insurance company who the owner and the registered keeper of the vehicle is before you get a quote. You aren’t the registered keeper of the car, as we’ve already discussed and if it’s on Contract Hire or an Operating Lease, you do not legally own the vehicle, you are renting it. This means that you don’t have the financial investment the finance house does in the vehicle therefore you will be seen as a higher risk in terms of taking care of it. We know you will take care of it of course, but this does mean that there is a chance your insurance may be higher. That’s a whole other article so if you want to find out the ins and outs of lease car insurance. You can do so by clicking here. Hopefully this has cleared a few things up and if it hasn’t, we’re on hand to answer any questions you may have. You can do this by either ringing us on 01903 538835 or by filling out a contact form with the best time for one of our team to contact you. Martin enjoys: Meals with friends and family, swimming, films, sports and playing his guitar. Martin loves to challenge the team to make sure every aspect of the leasing process is clear and fully compliant, but that doesn't mean he doesn't love to joke around as well. He's always smiling, even on the busiest days in the office.